I was lucky enough to find this beautiful studio during my vacation in Maine. I’d encourage anyone in the area to go if they can. Carissa & Lyndsay are both so warm and welcoming and they made me feel right at home. I will most definitely be back when I’m in the area. Thank you both for being my studio away from studio. It means a lot to find a wonderful place to practice when I’m away! - Kim P.
I'm not one to generally enjoy working out, but metta has changed my mind on it. I've been going for 3 weeks and wish i started sooner! everyone who goes is welcoming. Did I mention that Lindsay and Carrisa are the bomb?! Thanks guys for making an awesome space and community!! - Kim E.
I took an ariel class with Mattie this week and I'm so glad I did! It was more of a work out than I imagined but I'm so glad I tried it! I will definitely be going back. The owners have created a wonderful space for community, connection, mindful movement, and learning. I tried the Balanced Athlete class with Carissa and was blown away! 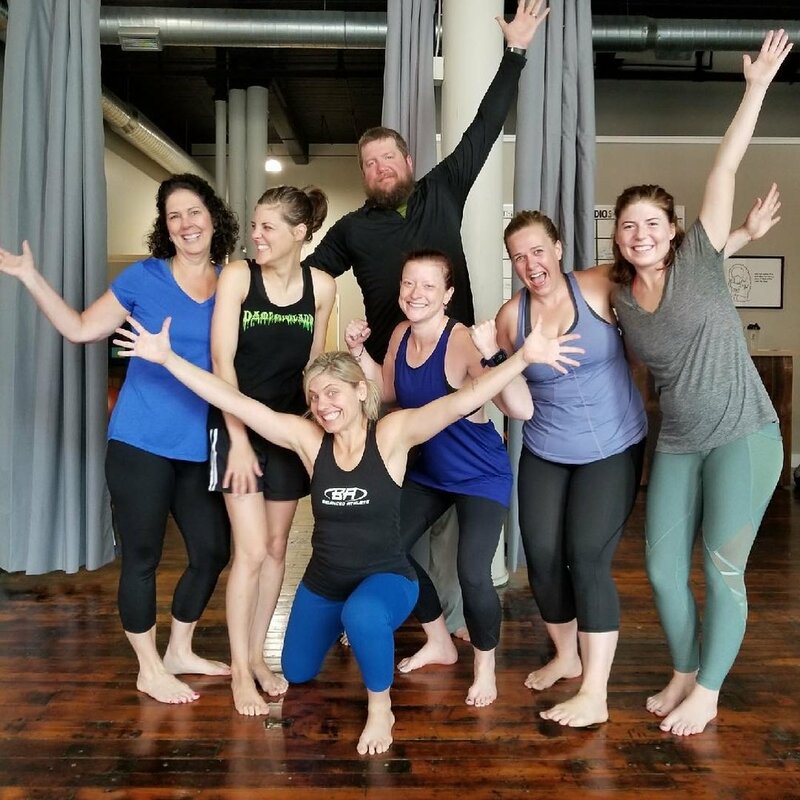 Metta Studios is the perfect addition to Biddeford. - Niki F.
Metta offers several different styles of yoga along with other wicked fun classes and workshops. I highly recommend dropping in for Hatha and Aerial yoga. - Kara F.
I feel at home in this space and they have a diversity of offerings. - David R.